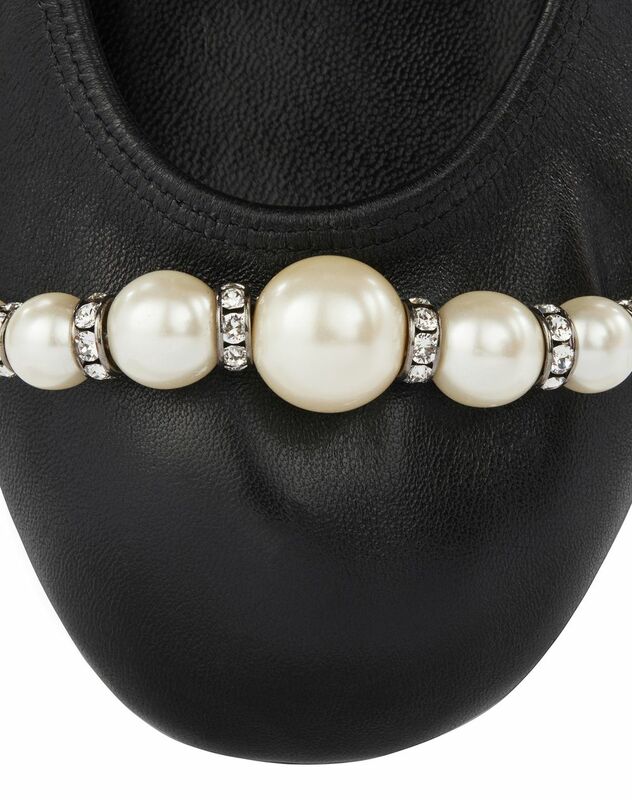 Ballet flat in black lambskin leather, elasticated with tone-on-tone topstitching, and cap toe embroidered with pearls. The insole is made with three layers: one in black patent leather, one with golden edges, and a black leather liner with the Lanvin logo printed in gold. A wardrobe essential, this black lambskin leather ballet flat stands out for its embroidered pearl detailing, providing sophisticated yet casual flair. 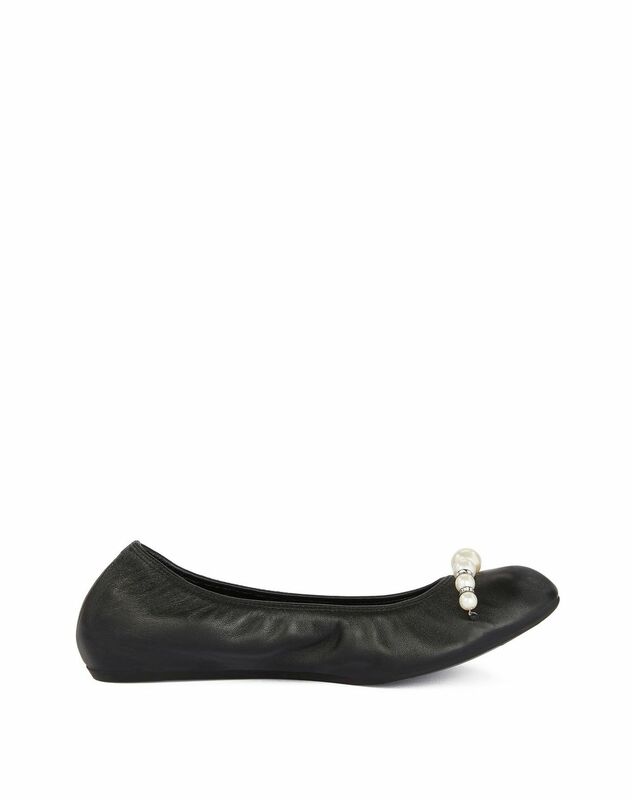 A timeless Lanvin classic, this ballet flat combines savoir-faire with comfort.